Contemporary Theories of Liberalism provides students with a comprehensive overview of the key tenets of liberalism developed through Hobbes, Locke, Kant and Rawls to present day theories and debates. Central to recent debate has been the idea of public reason. The text introduces and explores seven dominant theories of public reason, namely, pluralism, Neo-Hobbesianism, pragmatism, deliberative democracy, political democracy, Rawlsian political liberalism and justificatory liberalism. 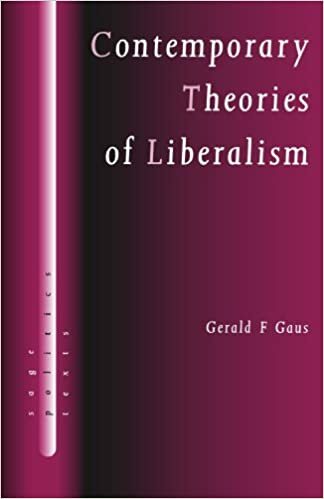 As a proponent of justificatory liberalism, Gaus presents an accessible and critical analysis of all contempoary liberal political theory and powerfully illustrates the distinct and importsant contribution of justificatory liberalism. Contemporary Theories of Liberalism is essential reading for students and academics seeking a deeper understanding of liberal political theory today.